Rolling Hills Lodge is on the Elk Trail though Cherokee. It is not uncommon to see Elk visit on average twice a week. The Elk are one of many protected species inside the Great Smoky Mountain Park. One of the best times to see the Elk is near dusk. 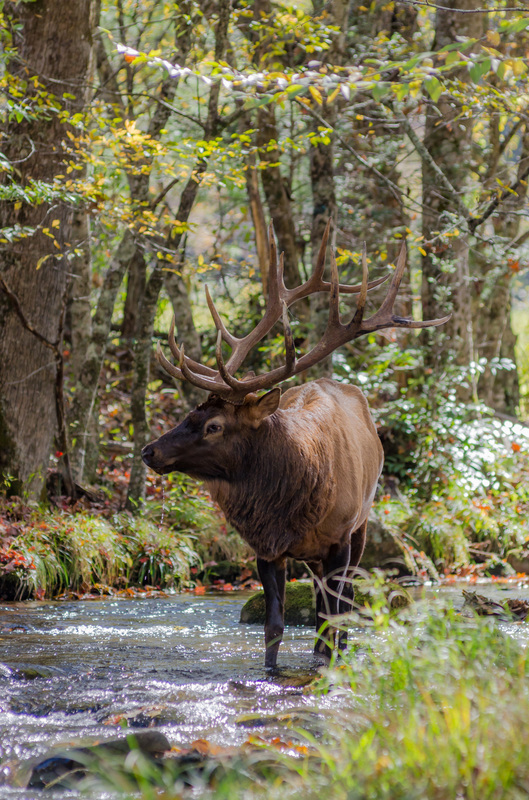 The Elk roam freely throughout Downtown Cherokee and enjoy walks through the Oconaluftee River. It is advised by park officials to observe a healthy distance when viewing or photographing the Elk. Inside our lobby our guests are greeted to a complimentary Continental Breakfast each morning. 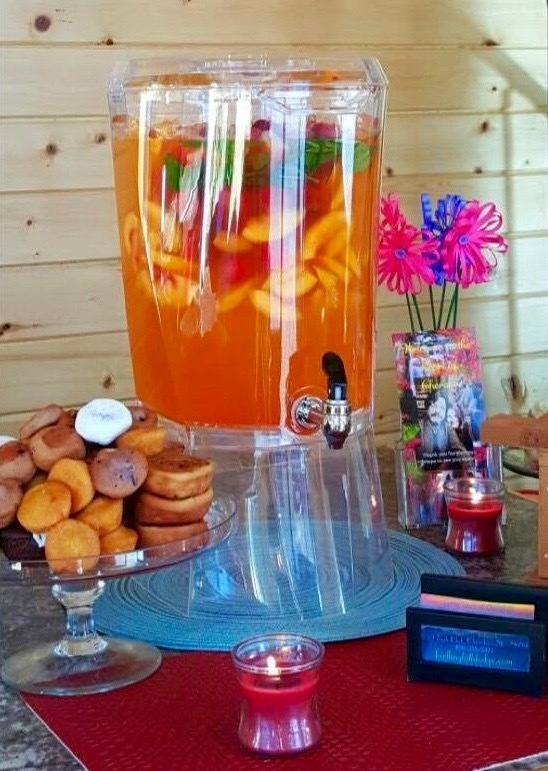 Start the morning off right with Sue's refreshing fruit infused teas. During Autumn you will find homemade cider brewing in our lobby. Please check with our reservationist at our front desk for our breakfast times. Whether you are spending one night on your way to your final destination or a week with us enjoying the scenery and attractions of Western North Carolina we hope your stay is pleasing and enjoyable. We have chosen to provide our guests with 4 sizes of rooms allowing you, our guest, the opportunity to pick the one that best serves you. The housekeeping staff work daily to make sure your room is 100% clean and you are satisfied. We offer daily cleaning service for our guests staying more than one night. Just place your request for maid service on your door by 9am to let our staff know you wish your room to be cleaned and toiletries and towels replaced.